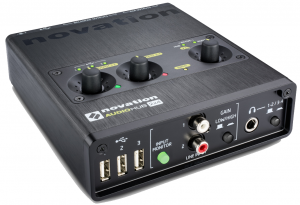 The music gear world has gotten a nice combination of two favorites of ours, a Novation and Focusrite product to bring us a high quality audio interface and USB hub. Novation really has their their stuff together and has continued to impress us year in and year out becoming one of our favorite brands in the entire industry. The Novation Audiohub 2×4 Audio Interface is a very solid piece of machinery, offering users a combined audio interface plus USB hub that has the audio quality of Focusrite interfaces. 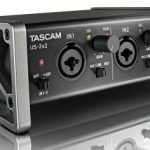 The various ins and outs really let us organize all of our USB gear in one place and if you’re looking for an interface at the same time, this may be for you. The low-latency and overall warm quality Focusrite products give us in our experience make it worth it. Let’s look into more detail. The main standout feature here is that this acts as a USB hub to help us organize and expand those numerous piece of gear we all have that connect via USB. My PC right now has around 6 USB ports but that still isn’t enough, especially since introducing a pad controller into the mix. Combined with my external hard drive, mouse and keyboard I have to unhook a few USB cables in order to get everything working and it’s quite the pain if i’m in the middle of workflow. The audio interface quality is superb. Focusrite is one of our favorite interface creators (and you can probably tell as we mention them in basically all of our articles, especially with their Scarlett series). The gold standard seems to be the 96 kHz 24-bit rate, so if you want even higher than this you’ll have to look into interfaces that cost up to half a grand (particularly the Thunderbird interfaces). Semi-pro and even some professional studios are fine with this quality. What’s also nice with the Audiohub 2×4 is that Novation paid attention to live performers, giving us some easy access to volume and status controls on top of the unit. Not that this is a must, but those of us who perform (or even record) know the convenience this will give us. You also get separate controls of the line outs (pressing the button to switch among the two) as well as headphones in the front. As you can see above, we get some pretty decent ins and outs going: the highlighted three USB ports, input monitor switch, line ins (with button to select), and an 1/8″ standard headphone port (that you can also press a button to switch between the levels). 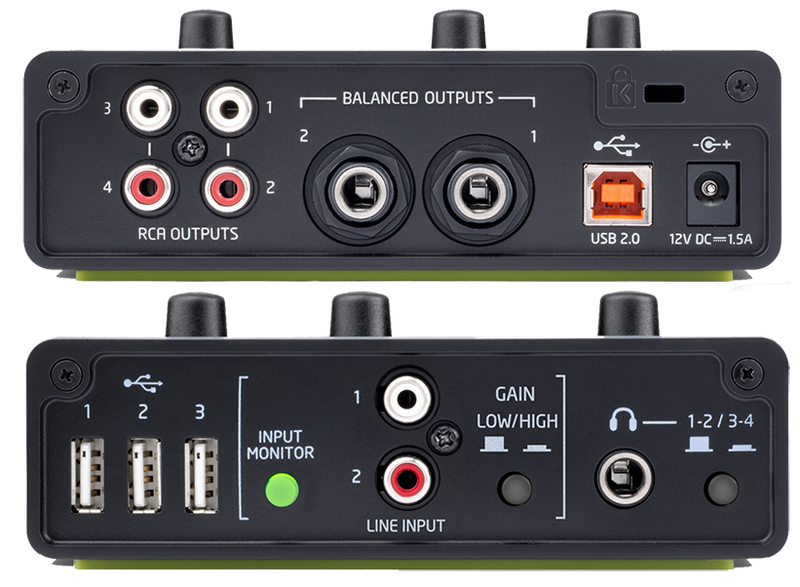 The RCA and balanced outputs are also available in the back. Notice what’s missing? An XLR port, unfortunately. That could be a problem if you’re using a mic, or you can plug it in if you have a converter or other type of connectivity (USB, balanced). In terms of the overall build, it’s a nice make as Novation usually brings with their music equipment. A tough, solid metal frame gives it great support, and although it lacks a case with the package, you should be fine when you’re traveling – just wrap it in a towel or keep it secure away from other heavy gear in case of an accident. The knobs aren’t cheap either — this isn’t a knockoff. I haven’t seen a made-for-interface case as of now, if there’s some out there you recommend with this please let us know in the comments! 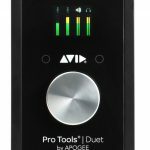 We think this piece of gear is absolutely perfect if you’re looking for an audio interface that offers more than one USB port. A lot of interfaces out there typically only give us one, with the majority of ins and outs focused on other ports, such as XLR, RCA or 1/4″. 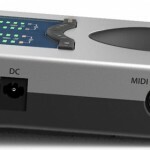 This does that plus gives us three ports to organize our MIDI controllers, surfaces, and more. As I said before, I’ve gotten to the point of having to plug out some cables when I’m using specific gear so this is a great solution for that (even with 6 built-in to my PC). It’s also great if you record via iOS since it’s compatible with that, albeit needing a converter. 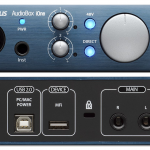 This is even more worth it if you need an audio interface. 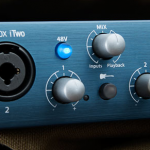 The Focusrite sound quality is one of the best out there in our opinion (aside from perhaps the Pro Tools Mbox AI’s or the Thunderbolt interfaces for Mac) so don’t be worried when it comes to overall audio quality. It has the gold standard (at least for now) bit rate of 24-bit/96kHz. The latency is very low so you’re also going to be getting rid of that annoying lag when you record using MIDI (something that’s given me a headache for the past 10 years or so). Lastly, it’s worth it if you’re looking to try out some production software since it comes with Ableton Live Lite. Ableton’s one of our favorite DAW’s as we saw in our 10 best music production software post. The loopmaster’s sample pack isn’t that bad either and can only help give you more possibilities with music creation. 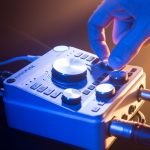 If you want some more options, check out our top 10 best audio interfaces article to compare and contrast. 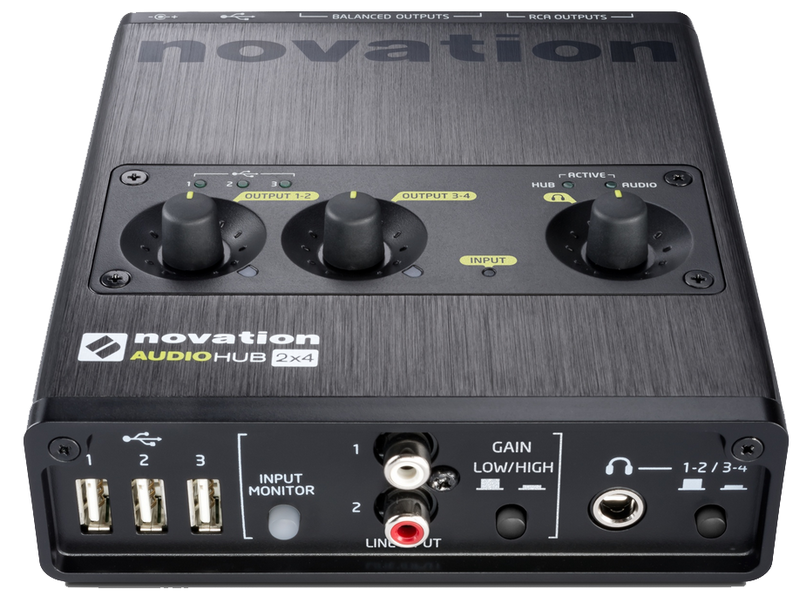 Otherwise, the Novation Audiohub 2×4 is a great choice and is a recommended investment if it fits your needs.